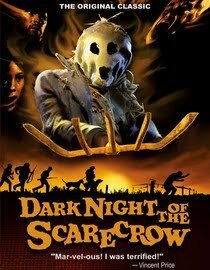 Synopsis: Seeking justice after a local girl (Tonya Crowe) is brutally attacked, vengeful townspeople kill the suspect -- mentally challenged Bubba Ritter (Larry Drake) who tried to disguise himself as scarecrow. But they soon find themselves targeted by a mysterious apparition. Now postmaster Otis P. Hazelrigg (Charles Durning) and the rest of the men who murdered Ritter fight for their lives as the horrifying scarecrow embarks on a killing spree. 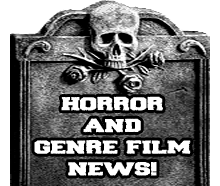 Review: If you are not familiar with this film well basically it is a made for TV movie that came out back in 1991 and was really the first scarecrow killer type of film. This film was immersed in a sea of other made for TV horror films during it's time ,but I must say this is one of the best I have ever had the pleasure of seeing. I originally saw this film replayed on TV back in the early 90's and I loved it then as much as I do now. The plot of the film is pretty basic and is the type that will leave you questioning who the killer is all the way through. There is alot of great atmosphere and some wickedly chilling scenes that will have you at the edge of your seat. One thing that really shines in this film was the cast, they picked some really good actors including some up and coming ones. My favorite of the cast was Larry Drake (from Darkman and Dr, Giggles) who plays a mentally handicapped man who has the mentality of a child who is wrongfully accused.The other cast members shine also but each in their own way. I must add that one thing I found that really helped set the mood in alot of the scenes was the music score, it has this really haunting and eerie feel to it that really pulls you into the scene. Not that this is a TV movie there is not much gore and what you get is basic showing of blood and nothing too obscene, which is fine because films like this rely more on atmosphere than gore. Overall this is a great film that needs to be discovered by more people and I thank VCI for bringing this lost gem to us.